Another day, another cheaper Herschel Little America alternative. 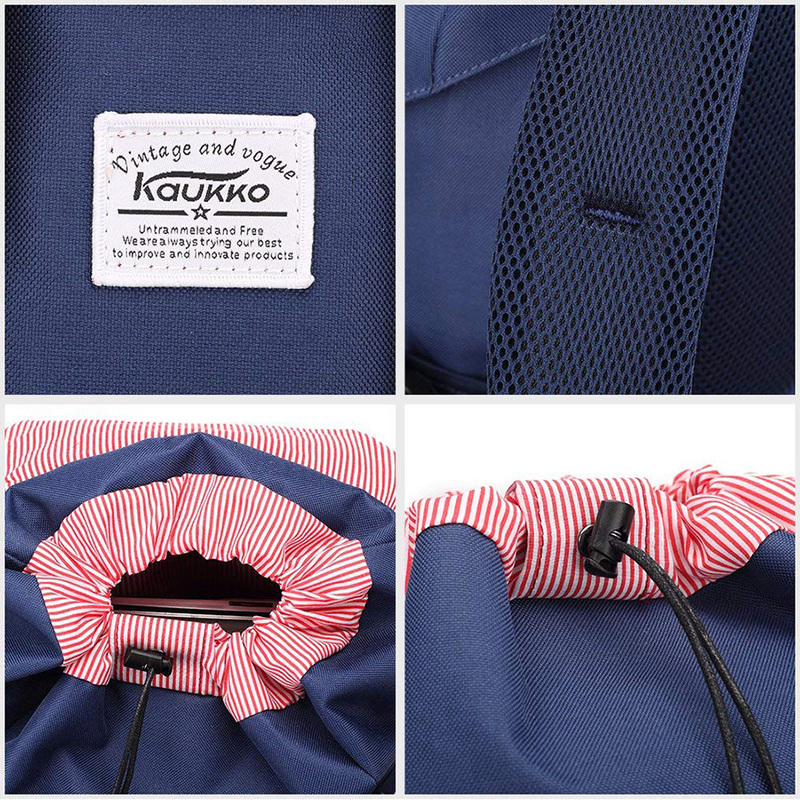 Kaukko heavily borrows from the popular Herschel backpack down to the red and white striped fabric lining and branded woven label placement. We once heard that imitation is a form of flattery. But the Kaukko Outdoor Backpack is actually a pretty solid deal. At under $50 you get a medium sized rucksack with a laptop compartment, plenty of pockets and countless color options. And the backpack is actually pretty comfortable even when loaded thanks to its padded shoulder straps and back making the Kaukko Outdoor Backpack one of the better cheap “vintage rucksack” style backpacks out there. Side pockets and compression straps are a nice touch. It feels “cheap” especially when compared to higher quality backpacks. Fake leather straps aren’t the best quality.